HelioScope is the only program on the market that rigorously calculates the system performance of solar arrays – which includes calculating mismatch losses. This application note details the mismatch calculations, with a particular focus on the baseline mismatch assumptions. Mismatch losses in HelioScope are not user-defined de-rates. Instead, the mismatch losses are calculated based on comparing the sum of each module’s max potential power versus the actual system power based on series & parallel circuit constraints. Module Tolerance Differences in module nameplate power. 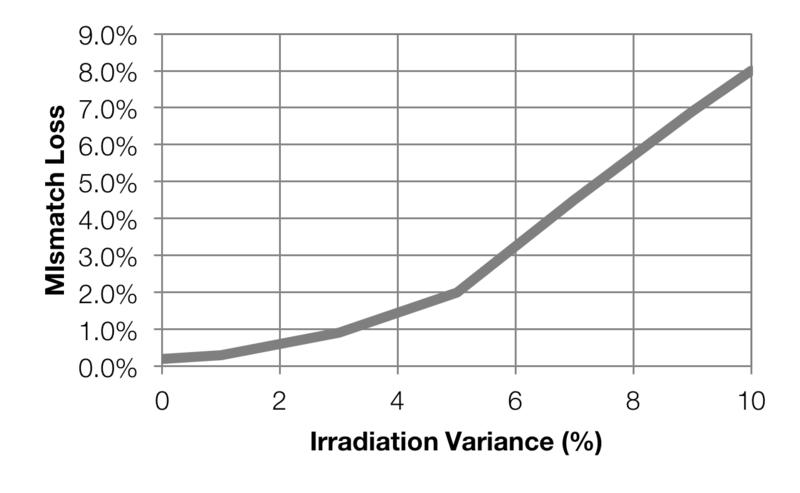 All of these attributes are applied statistically across the array: each module is randomly sampled from each of the defined ranges – and that module will then have those deltas (in irradiance, temperature, and nameplate power) applied for all calculations each hour. 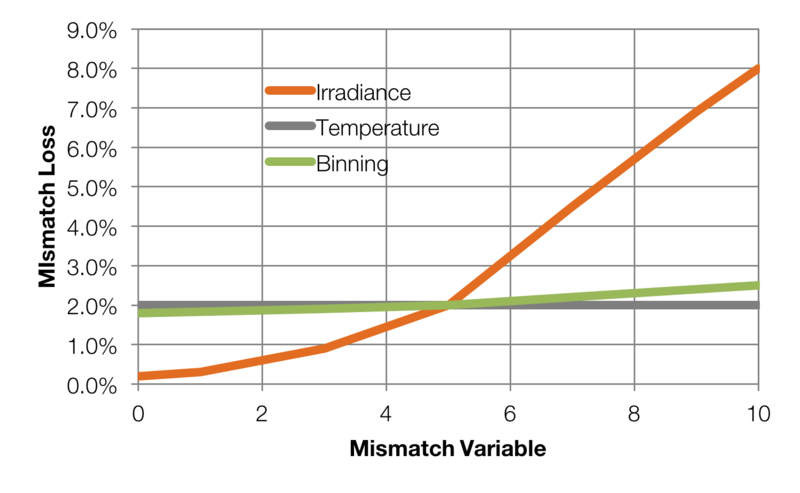 The baseline mismatch values were chosen in order to generate mismatch values of approximately 2%, as many other solar modeling tools have similar mismatch default losses. 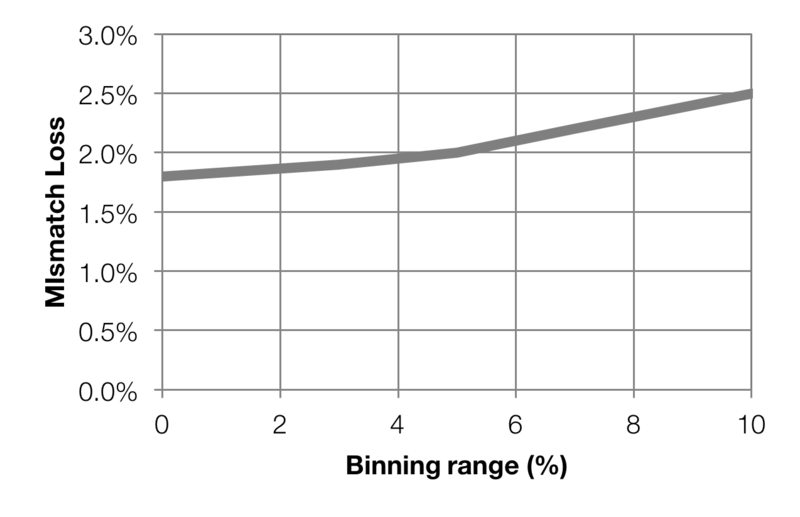 However, the actual losses will depend slightly based on the module chosen (in general, lower fill-factor modules have lower mismatch losses), and the string length (shorter strings have slightly lower mismatch losses). This also has the added benefit of automatically showing performance benefits for module-level power electronics (i.e. microinverters or optimizers). The temperature range, on the other hand, has almost no impact on the overall mismatch losses (though this may be remedied in the future with more sophisticated methods for applying temperature gradients). [^1]: “Short” strings are based on a 600V target, while “long” strings are based on a 1,000V target.